When we talk about at home inventory management we are usually referring to be able to locate items within your home. Today, we're taking a slightly different approach. Some items in your home are so small and/or inexpensive that you'll just replace them if they break or wear out. For other items it makes more sense to repair them whenever possible. Things like your large appliances, a treasured keepsake, and more fall into this category. 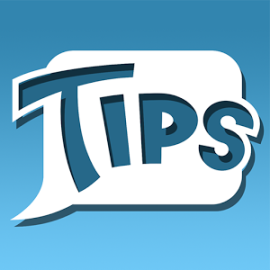 While you definitely don't need Stockpile to keep track of your fridge's whereabouts, you can use it to track other important information such as the customer service number, the warranty information and the make, model, and ordering instructions for getting a new bulb or filter when you need one. That's right, Stockpile reliable inventory management system can be a real time saver when something goes wrong with those of special case items in your home. Most of us keep the owner's manual that came with a large purchase somewhere in our homes. The problem is that over time those manuals pile up, get moved to a different location or just plain disappear. Then when you have an issue you're left digging through piles of old papers or searching the internet trying to figure out which number is the right one for your particular make and model. Who has the time for all that? If it's a major appliance like the fridge or your washing machine on the fritz, chances are you want to get it fixed as soon as possible. Failing to realize that it's actually under warranty or just not calling the approved repair person can cost you big bucks as well. Having all that important info at your fingertips can really save you in the long run. If you're new to our blog and haven't tried Stockpile, our reliable inventory management solution, yet this is a great way to get started. Gather up all the manuals that you have for major appliances and any other items that require replacement parts. Because Stockpile is fully customizable you have the ability to choose which fields you include in your item records. You probably don't need barcode information and you may not want to be reminded of just how much you spent on that item when it was new. If that's the case, you can omit those fields. Don't clutter up your records with information that you don't want or need. Do be sure that you include any and all details that will be useful in the future though. Keep in mind that the whole purpose is to have all the information you need in Stockpile so that you don't have to go searching for that manual. This is probably a quick project (once you locate all those manuals, of course) so you can probably knock it out in an afternoon. Once you see just how beneficial it is to have item records in Stockpile you're going to want to add more items. That's another great thing about Stockpile reliable inventory management system. 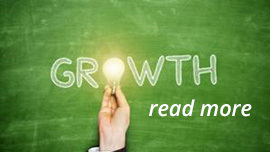 It grows with you. Plus, it's always available for free so there's no cost to give it a try. Stockpile is also mobile compatible which really comes in handy when you're standing in the home improvement store trying to remember which part you need and you realize that you don't have the piece of paper you wrote it down on. No problem! Just a few clicks allows you to access the item record and find the info that you need. 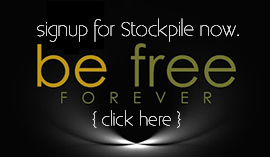 Stockpile saves you time and money and just makes your life easier. What are you waiting for? Try Stockpile today!